Last night on the Friday, 9th of October I had the chance to see the new emerging progressive rock band Ta7t El-Sefr live at the small called Room Arts Space & Cafe in a central area near the Nile located at 10 Etehaad Al Mohamin St. in Garden City which is frequently visited by both Egyptians and Foreigners. 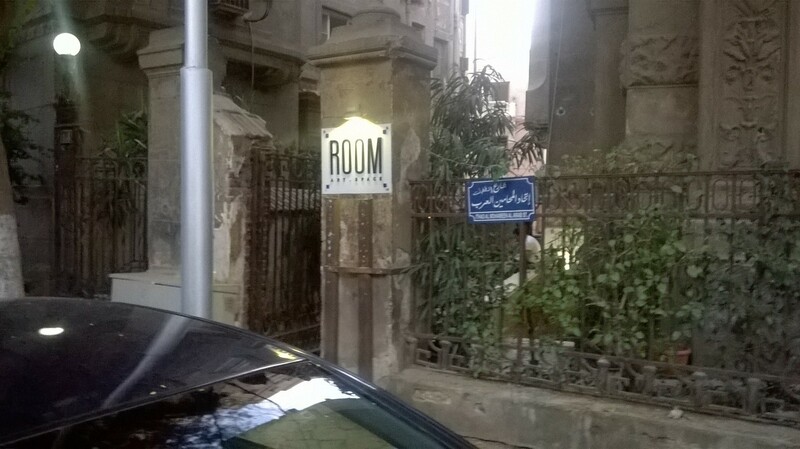 It was established last year to give room for an alternative setting in Cairo. Ta7t El-Sefr presented there for the first time their first concept Album to a live audience for almost over an hour. The band members are all in their early and mid 20s and they formed the band in 2014.The audience’s reaction were quite positive and there were more than 20 people at the small stage where the band was playing. The lyrics of the songs were quite different and every song had its own identity with a mix of western style rock and arabic influences although the western style rock part dominated, at least in my opinion. They played one song about the January 25, 2011 Revolution and dedicated this song to a friend who died. Their musical style is unique and still there are of course some influences heard from other progressive rock bands like Pink Floyd or A Perfect Circle. Sometimes they sounded a little bit like Muse, but from their earlier releases. They performed instrumental songs as well where the guitarist Ahmed Weamm could prove his skills to the audience. They performed a cover as well from the Jordan band El Morabba3. They have a small but loyal fanbase and after their release the first album it should grow bigger. There are some samples available at their soundcloud page. Stay tuned for their release of their first album. Vorheriger Beitrag Introducing: Aya Metwalli آية متولي: Music as a way of life?